Italian shoemaker Baldinini has become famous for sewing shoes for almost all the inhabitants of the small town of San Mauro Pascoli. Very quickly the fame of his talent blazed widely out of the town, and soon outside Italy. 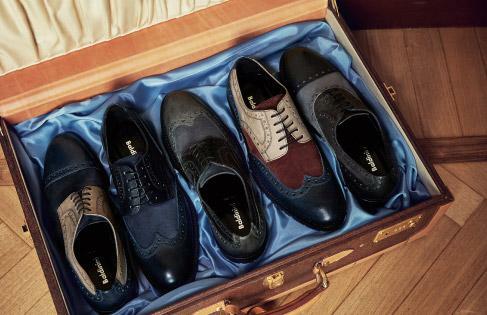 In 1910, little “creative” workshop wasn’t enough for Baldinini, and he opened his own factory to produce shoes. Fashionable shoes, in the view of Baldinini «should look neither vulgar, nor monastic.” Baldinini managed to find the happy medium. even the Princess Diana wore BALDININI Italian shoes. In turn, Jimmy Baldinini admitted that it was such a pleasure to work with Lady Di. BALDININI policy is against staying in one place: every day thousand pairs of women’s shoes and 500 pairs of men’s shoes are produced. And if we take into account that many BALDININI models are handmade, the above-mentioned volumes of manufacture are much more impressive.